The best app for chess lovers, with Android and HTML5 interfaces, and with lots of possibilities. (*) Themes, board setup, PGN, UCI Engines and speech are only available in the Android version. The HTML5 version requires a browser with WebGL enabled. It is on sale in Gooogle Play but there is also a free version called “Mobialia Chess Free” supported by Ads with the same features. 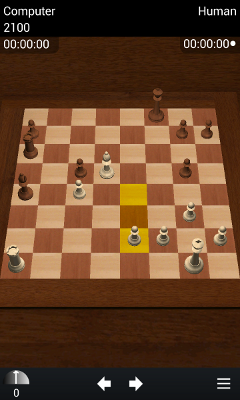 It’s proudly powered by our Open Source Chess Engine Carballo, so any comments about its gameplay will be welcome. 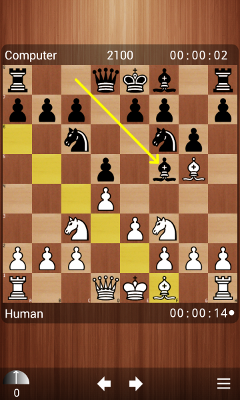 Please send to chess@mobialia.com all the comments, bugs and feature request. If you’re having problems with downloads, installs, refunds, payments, or Google Play access, please contact the Google Play team through the Google Play Help Center. We are official providers of the Internet Chess Club (ICC). 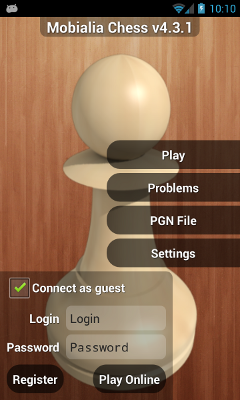 We develop the Official ChessClub Android App with lots of features focused on this excellent chess server. If you want this app to play on ICC you can get the official app FREE!.